Highland Council made the promise as they have to make £27.9m in budget savings in 2019-20. Highland Council is promising there will be no compulsory job cuts despite having to make £27.9m of budget savings in 2019-20. The local authority has projected a £67m budget gap over the next three years. Its leaders will seek colleagues' backing for a three per cent rise in council tax at a meeting in Inverness next week. Its emergency financial reserves are at a near-record low, and the council is keen to avoid costs of paying off any staff. Hundreds of volunteers stepped forward to take redundancy a few years ago. The authority will have £570m to spend and there will also be around £137m in 2019-20 for capital and infrastructure projects in the region. It estimates that the latest results of a long-running internal, cross-party "redesign" exercise will reap about £800,000 in the coming financial year. The agenda for next week's council meeting includes proposed savings in waste management and grants relating to sports organisations and Eden Court Theatre in the Highland capital. The council aims to introduce a fee for use of its electric car charging points. It is likely to reduce the brightness of street lighting and will review opening times of its recycling centres. The independent-led minority administration agreed on Thursday to implement a new, nightly bed-tax on tourists. However, it is firmly against Scottish Government plans for a workplace parking tax. The council's budget leader Alister Mackinnon told STV News: "Our public transport isn't as good as it is in some cities and a lot of staff and employers and employees in the Highlands have to use their car. "It's an essential tool. We have to watch that we don't penalise people who work in the Highlands. It's a very sensitive issue and we will consult and look into that." 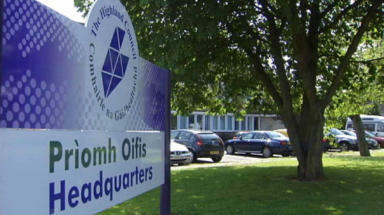 A spokeswoman for the GMB union said: "We recognise the intention of Highland Council to avoid redundancy of the workforce being made. "Until the detail of how proposed changes to the current service delivery are fully shared with trade unions and, equally, how the proposed budget will impact on jobs, we continue to remain very concerned about how this budget will affect current employees and the Highland community."